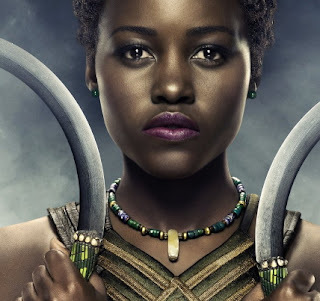 Kenyan born Hollywood actress Lupita has come after a Magazine house based in the United Kingdom for editing her photos without her consent. 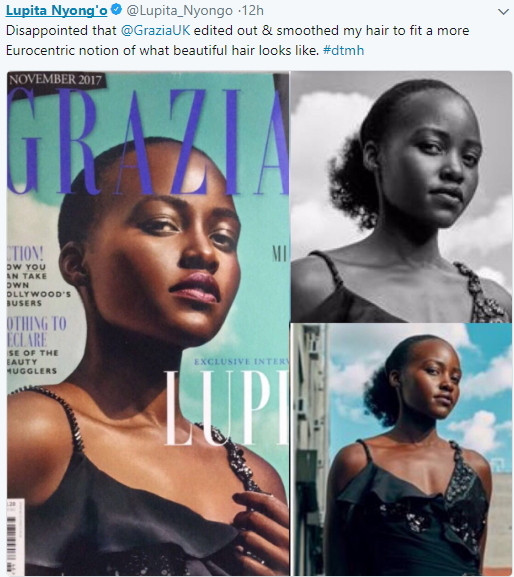 According to her, Grazia magazine edited her long hair and replaced it with a shorter and smoother version, an action she views as racism. Nyongo who shared this in a tweet said she is really disappointed that the magazine will do such to her. The photos on the right is her natural hair, while the one of the left is the retouched version. Her hashtag #dmth meaning Don’t Touch My Hair is the title of a song by Beyonce’s sister, Solange about people showing respecting for black hair. Meanwhile, the magazine has issued an apology statement on Twitter, claiming that the photographer for Lupita’s hair did the modification. 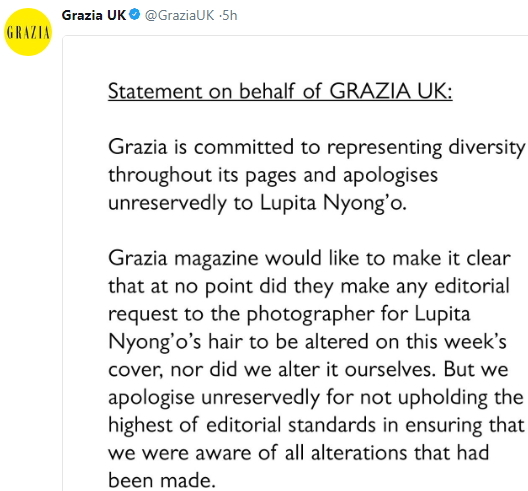 Here is the apology statement Grazia UK issued on Twitter today. Proud Black woman, love you. That’s Oyibo for you, they will intentionally do it,and when you react,they will soft pedal to even make their mission more clearer while gushing out apology that makes them look good…with this controversy,this edition of the magazine will sell more.